Students can only apply to a maximum of ONE FNU scholarship at any given time. 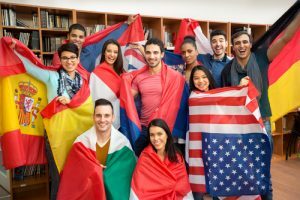 International students, if they qualify, may only apply for the International Scholarship (for an Associate Degree program). Please note that students that are receiving financial assistance from Vocational Rehabilitation, Military Active Duty, or VA do not qualify for any FNU scholarship. The following Scholarships do not apply to students studying in an ESL program. FNU reserves the right to modify or terminate any scholarship at its sole discretion. Students that are awarded a scholarship are required to perform community/university service hours. These hours are a mandatory component as a recipient of a scholarship; if you do not complete your hours within the specified time period (end of semester), you will forfeit the scholarship. For more information on the requirements to fulfill your community service, contact the Academic Advising Office. The Academic Scholarship is granted to freshmen and transfer students according to their GPA and/or SAT/ACT scores. The list below specifies the yearly amount awarded. Recipients of this scholarship must maintain a minimum 2.0 GPA every semester to continue to be eligible for the Academic Scholarship. • This scholarship is awarded at time of enrollment and renewed every academic year. FNU reserves the right to modify or terminate this and all scholarships at FNU’s sole discretion. The Alpha Phi Sigma – Mu Zeta Presidential Award is for those students who are Honor Society members and active members of the Mu Zeta Chapter of Alpha Phi Sigma. 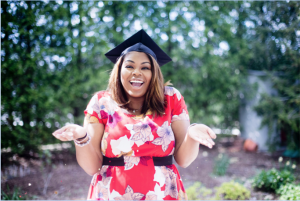 The award of $1,000.00 is given every year to the winner of an essay contest on the subject of “How can an FNU degree assist you in becoming an ethical member within your profession?” Specific programs are not eligible for the scholarship. These programs are: Nursing, MSN, Respiratory Therapy AS, Respiratory Therapy BS Degree RRT to BS-RRT (Advanced), and Physical Therapist Assistant. Deadline: July 31st and December 31st of every year. All documents must be turned in, in a sealed envelope to the Advising Office before July 31st of each year. Sum Awarded: $1,000.00 will be applied to the student’s tuition at the moment of graduation from a Bachelor or Master Degree program. Students awarded this scholarship will be required to perform 75 – 300 community/university service hours (hours are dependent on the program enrolled in). These hours are a mandatory component as a recipient of an FNU scholarship. 1. Be actively enrolled in an UPPER LEVEL or GRADUATE degree program at Florida National University (Students enrolled in the MBA program may apply). 5. Have participated in a MINIMUM of eight (8) Mu Zeta Chapter or Florida National University extracurricular events (ex. fundraisers, meetings, trainings, etc.) during the year prior to applying. 7. Submit a paper. Topic: How can an FNU degree assist you in becoming an ethical member within your profession? This scholarship has been established for International Students interested in enrolling in a baccalaureate program at FNU. Specific programs are not eligible for the scholarship. These programs are: Nursing, Respiratory Therapy, and Physical Therapist Assistant. Sum awarded: The scholarship covers 20% of the tuition cost. The student must maintain a GPA of 3.0 or above to be eligible for this Scholarship for the following semester. Students awarded this scholarship are required to perform 150 community/university service hours. These hours are a mandatory component as a recipient of an FNU scholarship. This scholarship has been named after one of the founders’ family members whose love and dedication to our institution left a mark in the development and growth of the institution. It is awarded to FNU graduates of any degree program enrolling in the BSN Advance and BS-RRT in order to honor them for their outstanding effort completing a degree program at FNU. Basis for Selection: Be an FNU graduate. The students status as an ALUMNI (AE) must be verified (transcripts or internal database) before scholarship can be applied. Students receiving the Berta Redondo Scholarship will be entitled to only one scholarship per academic year. Students awarded this scholarship will be required to perform 150 – 300 community/university service hours. These hours are a mandatory component as a recipient of an FNU scholarship. Through the City of Hialeah Scholarship Board, Inc., FNU will offer scholarships for students engaged in City of Hialeah youth programming. Specific programs are not eligible for the scholarship. These programs are: Nursing, MSN, Respiratory Therapy AS, Respiratory Therapy BS Degree RRT to BS-RRT (Advanced, and Physical Therapist Assistant. 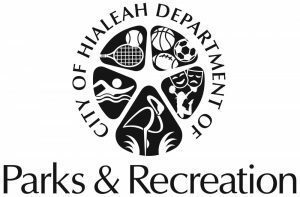 For more information, see a City of Hialeah Education Specialist or Park Director. Students that are awarded an FNU scholarship are required to perform community/university service hours. These hours are a mandatory component as a recipient of an FNU scholarship. This scholarship is awarded to top applicants who have demonstrated commitment to community service. In order to qualify, applicants must turn in a documented list of community service activities completed in high school. This document must be signed by the high school counselor or cap advisor. Applications are available at the Academic Advising Office. • Annual award of $1,500 per year. • Renewable every year. Recipients must submit documentation of continued community service. • Students that are awarded an FNU scholarship are required to perform community/university service hours. These hours are a mandatory component as a recipient of an FNU scholarship. Please note that students with full tuition scholarships are unable to apply for any other scholarships. The Díaz-Balart Scholarship has been established by Florida National University to honor the Díaz-Balart family. 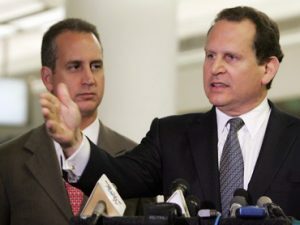 Political immigrants from Cuba, the Díaz-Balart family has continued in the United States its long history of public service, which began many years ago in their homeland. The scholarship is awarded to a student who is an immigrant to the United States of America. Specific programs are not eligible for the scholarship. These programs are: Nursing, MSN, Respiratory Therapy AS, Respiratory Therapy BS Degree RRT to BS-RRT (Advanced), and Physical Therapist Assistant. The scholarship is to be awarded every year to the winner of an essay contest, written by high school candidates on the subject of “Educational Opportunities within the American Democracy”. Basis for Selection: Must be an immigrant to the United States of America. The content of the essay and the writing skills exhibited in the essay. Source of the Díaz-Balart Scholarship: University revenue. Students awarded this scholarship will be required to perform 150 – 300 community/university service hours (hours are dependent on the program enrolled in). These hours are a mandatory component as a recipient of an FNU scholarship. 1. Be a graduating senior of a Dade County public or private high school. 2. Be a U.S. Resident, U.S. Citizen, or other eligible non-citizen (humanitarian parole, Cuban-Haitian Entrant, refugee status, asylum). 3. Provide two testimonials from school, business, church and/or leaders in the community testifying to good moral character and reputation. 5. Submit official high school transcript with the application. Sum Awarded: The complete tuition cost of the Radiology Technology program. 6. Submit official high school transcript with the application. The FNU Alumni Scholarship is a Florida National University scholarship. This scholarship is to be awarded every year to any graduate from one of FNU’s programs who enroll in another program. The purpose of the scholarship is to help the graduates of FNU continue in their journey of academic fulfillment and attainment. Specific programs are not eligible for the alumni scholarship. These programs are: MSN, Respiratory Therapy AS, Respiratory Therapy BS Degree RRT to BS-RRT (Advanced), and Physical Therapist Assistant. Basis for Selection: Student must be a graduate from one of FNU’s programs. Source of the Scholarship: University revenue. Sum Awarded: The scholarship covers 20% of the tuition cost (based on the tuition of either the undergraduate or the graduate program the student is enrolling in). The FNU Alumni (ae) Family Scholarship is a Florida National University scholarship. This scholarship is to be awarded every year to any immediate family member (spouse or children) of an FNU graduate. The purpose of the scholarship is to help the graduate’s family member continue on his/her journey of academic fulfillment and attainment. This scholarship is for career programs and specific programs are not eligible for this scholarship. These programs are: Nursing, MSN, Respiratory Therapy AS, Respiratory Therapy BS Degree RRT to BS-RRT (Advanced), and Physical Therapist Assistant. Basis for Selection: Student must be an immediate family member (spouse or children) of an FNU graduate. The students status as an ALUMNI (AE) must be verified (transcripts or internal database) before scholarship can be applied. Is a Florida National University Scholarship to be awarded to Men or Women Athletes who still have collegiate athletic eligibility remaining who possess the athletic ability and academic standards necessary to prosperously build upon the Department of Athletics Mission Statement. Specific programs are not eligible for the scholarship. These programs are: Nursing, MSN, Respiratory Therapy AS, Respiratory Therapy BS Degree RRT to BS-RRT (Advanced), and Physical Therapist Assistant. 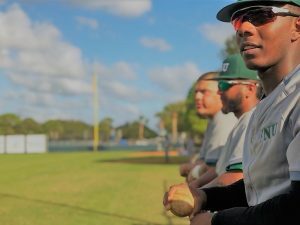 Basis for Selection: Meet academic standards and athletic expectations of Florida National University, its Athletic department and the athletes respective sport coach. Sum Awarded: Any dollar amount up to all tuition for a baccalaureate degree program (does not include textbooks, uniforms, other required materials or program-related fees/incurred expenses) offered by Florida National University. Students awarded this scholarship are required to perform 300 community/university service hours. These hours are a mandatory component as a recipient of an FNU scholarship. Is a Florida National University Scholarship to be awarded to an incoming freshman that has graduated from an approved high school the prior year with a graduating GPA of 2.0 and will be pursuing a Bachelor’s (BA/BS) Degree at FNU. Specific programs are not eligible for the scholarship. These programs are: Nursing, MSN, Respiratory Therapy AS, Respiratory Therapy BS Degree RRT to BS-RRT (Advanced), and Physical Therapist Assistant. This person must possess the academic standard (2.0) and maintain a 2.0 GPA every semester to continue to be eligible for the Academic Scholarship. Basis for Selection: Meet academic standards and show proof of approved High School Diploma from previous year to study at FNU. 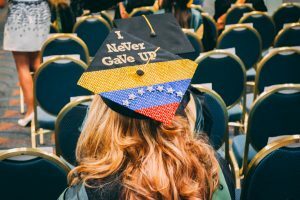 Is a Florida National University Scholarship to be awarded to an international student pursuing a Bachelors (BA/BS) Degree at FNU. Specific programs are not eligible for the scholarship. These programs are: Nursing, MSN, Respiratory Therapy AS, Respiratory Therapy BS Degree RRT to BS-RRT (Advanced), and Physical Therapist Assistant. Basis for Selection: Meet academic standards and show proof of international eligibility to study at FNU. The scholarship does not cover Registration and Application fees. All remaining fees must be paid on time or the student will lose his/her eligibility to the scholarship and special tuition rate. 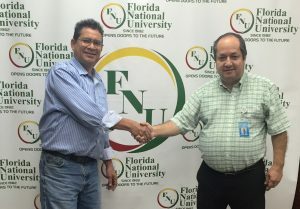 Is a Florida National University Scholarship to be awarded to a transfer student from another 2 or 4-year institution with a transferring GPA of 2.0 pursuing a Bachelor’s (BA/BS) Degree at FNU. This person must possess the academic standard (2.0) and maintain a 2.0 GPA every semester to continue to be eligible for the Academic Scholarship. Specific programs are not eligible for the scholarship. These programs are: Nursing, MSN, Respiratory Therapy AS, Respiratory Therapy BS Degree RRT to BS-RRT (Advanced), and Physical Therapist Assistant. Basis for Selection: Meet academic standards and show proof of transfer status to study at FNU. Full Athletic Scholarships are based on 12 credits a semester (24 credits for a School year and no classes during the SUMMER). Any extra credit requested by the students aside from the 24 credits to be taken in the calendar year will have to be paid by the student. The FNU Bahamian Scholarship is a Florida National University scholarship. The scholarship is to be awarded every year to Bahamian Citizen that apply and will be attending Online/Virtual Classes only. Sum Awarded: The scholarship covers 20% of the published tuition cost for a masters, baccalaureate or associate degree and diploma programs offered by FNU. The FNU/Government Scholarship is a Florida National University scholarship. The scholarship is to be awarded every year to government employees. Specific programs are not eligible for the scholarship. These programs are: Nursing, MSN, Respiratory Therapy AS, Respiratory Therapy BS Degree RRT to BS-RRT (Advanced), and Physical Therapist Assistant. Basis for Selection: Must be a government employee; referral must be from a government agency. Sum Awarded: The scholarship covers 20% of the tuition cost for a masters, baccalaureate or associate degree program offered by FNU for the employee and 15% for the employee’s family member. …and has proven knowledge and background of how an Athletic Department functions. The person must possess the academic standard and athletic stability necessary to promote the functionality of the Athletic Department and build upon the Athletic Departments’ Mission Statement. Specific programs are not eligible for this scholarship. These programs are: Nursing, MSN, Respiratory Therapy AS, Respiratory Therapy BS Degree RRT to BS-RRT (Advanced), and Physical Therapist Assistant. Florida National University will award 2 scholarships per team. 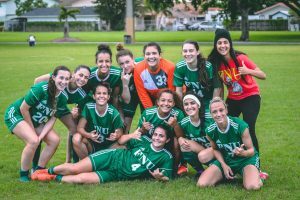 Basis for Selection: Meet FNU’s Academic standards and athletic expectations. Demonstrate functionality within the Athletic Department and the respective sport for which the student(s) will work with. Each applicant will go through an interview process. Sum Awarded: Any dollar amount up to all tuition for a graduate or baccalaureate degree program offered by Florida National University. 1. Be a U.S. Resident, U.S. Citizen, or other eligible non-citizen (humanitarian parole, Cuban-Haitian Entrant, refugee status, asylum). 4. Be recommended by two teachers and/or counselor. 5. The high school needs to submit the selected student’s required documentation (copy of report card) to the University for Acceptance. 6. Scholarship recipients must submit quarterly information on their academic grades and the number of credits taken per semester. All applicants must complete the required scholarship application form and submit it to FNU’s Office of the Vice-President of Academic Affairs. 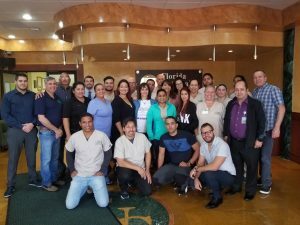 Sum Awarded: The complete tuition cost of the program for a baccalaureate or associate degree program offered by FNU (excluding the following programs – Nursing, MSN, Respiratory Therapy AS, Respiratory Therapy BS Degree RRT to BS-RRT (Advanced), and Physical Therapist Assistant). This scholarship has been established for International Students previously graduated from an ESL program at FNU. Specific programs are not eligible for the scholarship. These programs are: Nursing, Respiratory Therapy AS, Respiratory Therapy BS Degree RRT to BS-RRT (Advanced, and Physical Therapist Assistant. 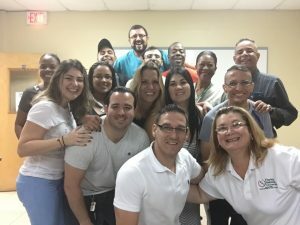 The scholarship is to be awarded to international students who have graduated from an ESL program at FNU and will re-enroll in an associate degree program. Basis for Selection: Applicant must have completed Intermediate Level or demonstrate proficiency in the English Language. All applicants will be interviewed by the ESL Division Head. Sum awarded: The Scholarship is merit based and will cover up to 50% of the tuition. Sum Awarded: The complete tuition cost of the program of his/her choice from the Associate of Arts or Science Degree programs offered by FNU (excluding the following programs – Nursing, MSN, Respiratory Therapy AS, Respiratory Therapy BS Degree RRT to BS-RRT (Advanced), and Physical Therapist Assistant). 2. Be a U.S. citizen or permanent resident. The Little Angels Children Development Center Scholarship is a Florida National University scholarship. This scholarship is to be awarded every year to children that graduate from the Little Angels Children Development Center and will enroll in one of FNU’s programs after they have graduated from high school. The purpose of the scholarship is to help the prospective students in their journey of academic fulfillment and attainment. Specific programs are not eligible for the scholarship. These programs are: MSN, Nursing, Respiratory Therapy, Respiratory Therapy BS Degree RRT to BS-RRT (Advanced), and Physical Therapist Assistant. Basis for Selection: to have graduated from the Little Angels Children Development Center. 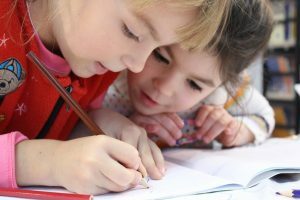 The Little Angels Children Development Center must provide a letter stating the student attended the center. Sum Awarded: The scholarship covers 20% of the tuition (based on the tuition of either the undergraduate or the graduate program the student is enrolling in). Medical professionals residing in the state of Florida can apply for a scholarship with Florida National University. 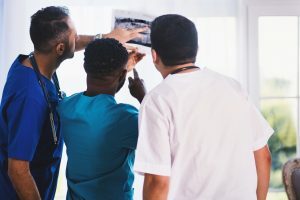 The Medical Professional Scholarship at Florida National University can be awarded every year to active employees of the Medical Profession residing in the State of Florida, who are not graduates from FNU, and plan to enroll in an approved Health Care program. Basis for Selection: Must be an active employee in the Medical profession in the State of Florida. To be eligible the applicant must provide a letter from the employer’s Human Resources Department or the most recent pay stub and a work ID. Sum Awarded: The scholarship covers 20% of the tuition and cost for a masters, baccalaureate, or associate degree program offered by FNU*. *Specific programs are not eligible for the scholarship. These programs are: MSN, Respiratory Therapy AS, Respiratory Therapy BS Degree RRT to BS-RRT (Advanced), and Physical Therapist Assistant. Students receiving the Medical Professional Scholarship will be entitled to only one scholarship per academic year. The MSN/Nurse Educator Concentration Scholarship is a Florida National University scholarship. This scholarship is to be awarded every year to students enrolled in the MSN-Nurse Educator concentration. The purpose of the scholarship is to help Nurses to be well prepared to contribute to the education of future Nurses. Basis for Selection: Students must be accepted and enrolled in the program (MSN-Nurse Educator Concentration). Comply with the admissions requirements for the program (MSN-Nurse Educator Concentration). Students awarded this scholarship are required to perform 75 community/university service hours. These hours are a mandatory component as a recipient of an FNU scholarship. Eligible Florida National University full-time employees who have completed six (6) months of employment at Florida National University may enroll themselves, their spouses, and/or children in Florida National University and receive a Florida National University Employee Tuition Waiver. Must be a full-time employee on the day before classes begin for the semester and continue to be employed for the entire semester. Employees must have completed six months of full-time, continuous, satisfactory, and permanent service with Florida National University. Employees’ performance must be at the “Achieves” or “Satisfactory” level on the day before classes begin. Faculty and Administrative employees must have completed six (6) months of continuous service with Florida National University and be in good standing with the University on the day before classes begin. Employee’s employment record must be discipline free for a minimum of six (6) months prior to first day of classes. Participation in the program is to be conducted on the employee’s own time. Employees are encouraged to take classes during off-duty hours. Eligible employees, spouses, and children receiving this Tuition Waiver must still pay the following: 1. textbooks; 2. course supplies; 3. all miscellaneous fees normally charged (CPR seminars, entrance exams, etc. ); and 4. Graduation fees. It should be understood that eligible employees, spouses, and children will be enrolled in the course of program only if there is an available opening after all tuition paying students have been accepted. Certain programs, due to their nature, are not eligible for this scholarship. Ineligible programs include: Nursing and PTA. Additionally, seminars for specific medical programs are also not eligible for the employee Tuition Waiver. Only one Tuition Waiver will be awarded for any program which enrolls students in clusters (ex. AutoCAD). Eligible employees, spouses, and children must apply for admission and register for classes. Submitting an application for the Employee Educational Tuition Waiver does not constitute registering for classes. 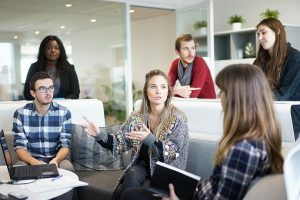 Eligible employees, spouses, and children must meet the prevailing admission requirements and will be subject to all prevailing academic policies. Student will be enrolled as a Transient Student until the entire program requirements are completed; at that point the enrollment will then be changed to the specific program title from which the student will graduate. Employees who receive a grade of Incomplete (I) will not receive this Tuition Waiver until such time as the grade has been changed to a grade acceptable as specified above. Employees who do not have Incomplete course grades updated within the specified timeframe will be responsible for all costs for the class. In order to receive this Tuition Waiver, the prospective student cannot be active in the program prior to gaining eligibility. If an employee voluntarily (as determined by Florida National University) leaves Florida National University within one year of the employee, spouse, and or children having completed the course/program on their last day of attendance, he or she must refund all tuition and fee reimbursements for that course/program that was made by Florida National University. The employee must agree to this, and to withholding of/deductions from pay, in writing in order to be eligible to participate in this Program. For the purposes of this program, terminations for Cause, as deemed so by Florida National University and as defined in this handbook, are defined as voluntary. Employee, spouse, and/or children can continue to attend courses and remain in any program at Florida National University after their voluntary departure but must pay all tuition and fees.